Sometimes clients struggle with learning how to feel happy and fulfilled in their lives. Whether it is due to depression, low self-esteem, or motivation issues, it is not uncommon for clients in therapy to struggle to find traction toward happiness or contentment. These clients will ultimately feel lost and sometimes hopeless in their efforts to feel better. Through feeling self-fulfillment and purpose, a client can learn how to create and stick to a path to feeling happy and content. 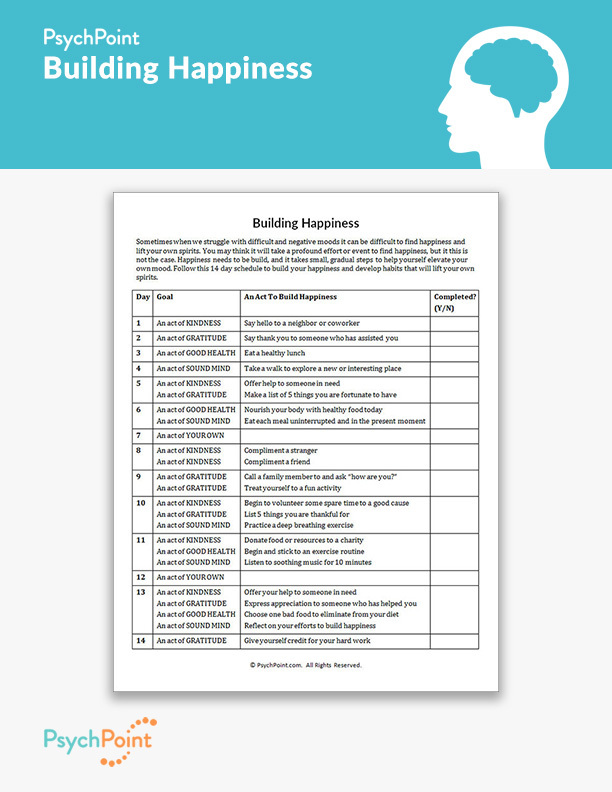 This is a Building Happiness worksheet. 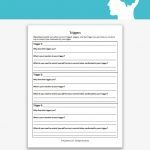 This worksheet is designed to pave out a two-week game plan to guide a client on a journey to feel a sense of purpose and self-fulfillment. 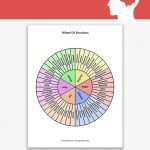 This worksheet incorporates socialization skills, meditation, mental health and physical health and wellness, gratitude, and personal growth to guide the client along the path of self-fulfillment. 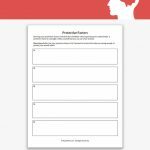 This worksheet is a two-week long homework assignment for the client to follow. During the two weeks, the client will accomplish the corresponding day’s task toward building happiness. 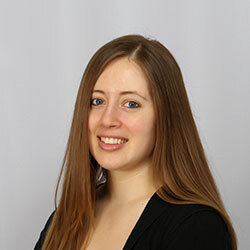 The goal is for the client to develop and strengthen healthy and productive coping and personal growth strategies. The role of the client is to perform the tasks and reflect every 3 days on how they feel and how they are being affected by the acts of happiness outlined. The role of the therapist is to check in with the client during the two weeks to reflect on progress, and encourage the client to continue to facilitate change for happiness from the client. This worksheet will not load. I am hoping this is fixed soon because it looks like it will be a very useful tool. Hi Amanda! Thanks for reaching out and letting us know. It should be fixed now, please let us know if you have any questions, concerns or comments!